Heavy rains caused flooded basements in Northeast Wisconsin, Green Bay and Appleton in late August and early September. When this happens, water in the basement causes damage to materials and contents and if not properly taken care of will result in mold growth. Quick action and learning who to call for a flooded basement can make all the difference. Fast response is critical to minimizing the damage the flooded water causes to a basement, crawl space or home. If you find yourself with a flooded basement situation, assess the source of the flood. Is the source of the flood due to heavy rains or a natural disaster? You may not be able to stop the source of the water immediately. If the flooding is due to a broken pipe, shut off the water to your home. Next, if it is safe to do so, disconnect and unplug any electronic equipment in the flooded area. This will depend upon the amount of water in the basement. If the water is up to the electrical outlets, wait to have the power to your home disconnected. We suggest removing any items that are easy for you to remove from the affected area. 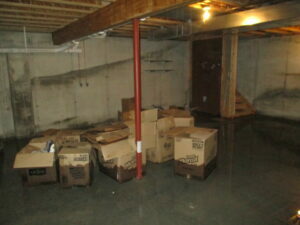 From here start to remove the water out of the flooded basement, crawl space, or area of the home affected. You may use whatever means available to remove the water (buckets, pumps, etc.) based on the amount of water. This is where a professional water cleanup company can make all the difference. With the proper equipment, we can start the removal process quickly and take less time to complete this task. Once the affected flooded area has the water removed, it’s imperative to dry out all contents. Mold needs moisture to grow and only takes 48-72 hours to start growing. The use of fans and dehumidifiers helps dry out the area much faster. Proper disinfection of all items should be done and then the next step is to prevent future mold growth with antimicrobial products. Who to Call for a Flooded Basement? If you find yourself with flooded basements and are located in Northeast Wisconsin, Green Bay and Appleton areas call CCS Property Services. 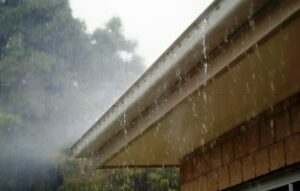 Our professional technicians are certified to handle emergency water removal and cleanup services. We can work directly with your insurance company to help move you through the water emergency and get you back to before the damage occurred. Call us at 920.435.2288.